You have numerous options when it comes to re-roofing your home, including asphalt shingles, concrete tiles and metal roof panels. You might choose to install a metal roof because they do not rot, crack, peel, burn or blow off. Metal roofs are resistant to wind and hail, weigh less than asphalt shingles, require little maintenance and are energy efficient. Because metal roofs are, by definition, made out of metal, you might be concerned about lightning and wonder whether you need to attach a lightning rod to your metal roof. Lightning rods were invented by Ben Franklin. Steel roofing materials are no more attractive to lightning than any other type of roofing material, according to the Metal Roofing Wholesalers website. The Metal Construction Association notes that metal roofs do not attract lightning. Metal roofing materials are non-combustible, so if a metal roof does get struck by lightning, it is less likely to result in a fire than some other types of roofing materials, such as cedar shakes. Lightning tends to strike the highest point in any terrain, but lightning can also be capricious, random, arbitrary and unpredictable. Lightning rods do not attract lightning but provide an alternative path for lightning when it strikes. The location of your roof is a more important consideration than whether it is constructed of metal or another material. If your roof is the highest point of the surrounding terrain, it might be advisable to install a lightning protection system. A lightning rod is an antiquated name for an air terminal, which is an integral part of a lightning protection system, or LPS. An LPS consists of ground rods and air terminals that are connected by a series of vertical and horizontal wires or straps. An LPS is designed to offer lightning a more attractive, alternative path from the sky to the ground other than your roof. Lightning rods provided significant improvement in protection from fires caused by lightning strikes when they were first introduced by Benjamin Franklin in the mid-1700s. 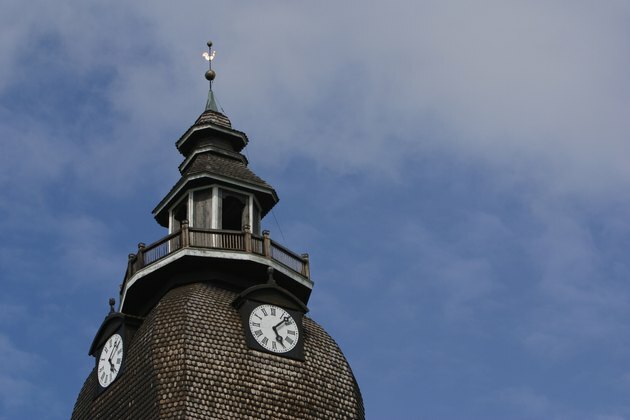 New developments in construction techniques and materials in recent decades have lessened the effectiveness of lightning rods. 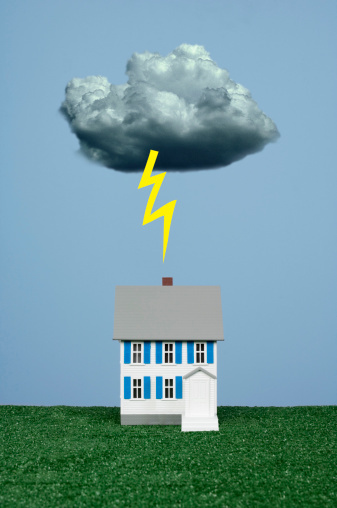 Home construction materials include structural steel, metal clad siding, copper water pipes, cable TV wiring, telephone and electrical wiring and other conductive materials that can result in an electric shock in the event of an indirect lightning strike. The National Lightning Safety Institute notes that lightning rods provide no protection in the event of an indirect lightning strike.